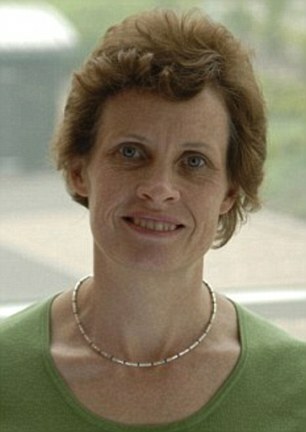 [2015 Feb] Research into obesity receives hundreds of thousands of pounds of funding from the junk food industry, report reveals The investigation by the BMJ found the scientist overseeing the strategy, Professor Susan Jebb (pictured) received £194,652 for a clinical trial by Coca-Cola between 2008 and 2010. In total, she has been given £1.37million towards her research since 2004 from firms including Nestle cereals, Sainsbury’s and Unilever, whose brands include Ben & Jerry’s, Magnum and Walls ice cream. Professor Jebb was appointed the Government’s adviser on obesity in 2011 by former health secretary Andrew Lansley, who also disbanded the existing group of experts who had been very critical of the Responsibility Deal. [2015 Feb] BMJ investigation reveals network of links between public health scientists and sugar industry Public health scientists and a government committee working on nutritional advice receive funding from the very companies whose products are widely held to be responsible for the obesity crisis....former HNR researcher, Susan Jebb, professor of diet and population health at the University of Oxford and chair of the government's Responsibility Deal Food Network, received support for her work from Coca-Cola, Sainsbury's, Cereal Partners and Rank Hovis McDougal, among others. Between 2008 and 2010, Coca-Cola donated £194,000 to one research study on which she was the principal investigator. Listed as sole or co-principal investigator on 10 industry supported research projects between 2004 and 2015, Jebb attracted funding worth £1.37 million to the HNR unit. Some of the companies that supported her work at HNR, including Unilever and Coca-Cola, are now members of the Responsibility Deal, which Jebb chairs.